Chris Newman (*1958 London) is an experimental interdisciplinary artist using the medium of music, painting, video, drawing and literature. From 1976 to 1979 he studied music at King’s College London, taking a Bachelor of Music. During this time he met the Russian poet Eugene Dubnov and started to translate Russian poets (Osip Mandelstam, Velimir Khlebnikov), this process of translating proving important for his later work (e.g. from one medium to another / from life to art). He moved to Cologne, Germany, in 1980 to study with Mauricio Kagel (New Music, Theatre / Video) at the Hochschule für Musik Köln. First public performance singing own songs in 1982. He founded chamber-punk rock band Janet Smith in 1983; met Morton Feldman in 1984. First concerts and video showings: Institute of Contem-porary Arts, London; Theater am Turm, Frankfurt; Kölnischer Kunstverein, Cologne; Cooper Union, New York. 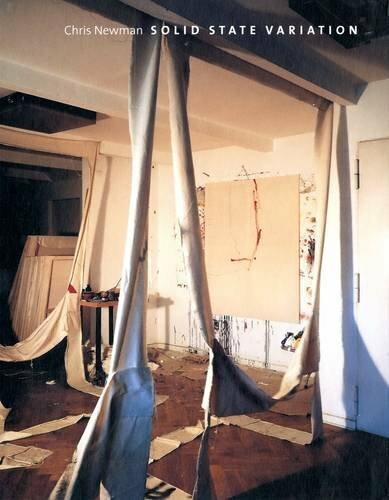 He started to paint in 1989, having his first painting exhibition in 1990 with Galerie Poller, Frankfurt a.M., which led (from 1994) to the two medium installations. These installations have been presented at (among other places): Kunstverein für die Rheinlande und Westfalen, Düsseldorf, (1994); Nationalgalerie im Hamburger Bahnhof, Berlin, (1999); Kolumba - Diözesan Museum, Cologne, Donaueschinger Musiktage; Limelight Kortrjk; Musée d'Art Moderne, Strasbourg, Arp Museum Rolandseck, Goethe-Institut Budapest. His paintings and drawings are represented in the Diözesan Museum, Cologne, Neue Museum, Nuremberg, as well as in the Neue Museum Weserburg, Bremen, and Hamburger Bahnhof, Berlin. Since the beginning of the 80's Newman's music pieces have been performed at concerts and festivals and re-corded for radio productions (also orchestral commissions, e.g. BBC, Hessischer Rundfunk). These include songs, piano pieces and two piano concertos. He has published books of poetry and prose and issued a number of CDs, his latest one 'Piano Sonatas' with Mode Records, New York. After the first phase in Cologne, he lived in Paris, London, again in Cologne and now in Berlin. Opening speech by curator and author Jan Hoet, Gent. The restlessness, the rawness, the mysteriousness of his works are based on a field of appealing disharmony that captures one´s attention, keeps one searching and sensing. The beauty of these images is not to be found on the surface but rather in the depth of the artistic methodology. The British painter, composer, musician, poet, performance and video artist Chris Newman (*1958) has been living in Berlin since 1996 and now has his first solo exhibition at Alexander Ochs Galleries. To find the beauty in Chris Newman´s paintings, one does not need to know the background of his work. It is even less required to identify any potential remnants of narratives. It is a sense of body, a genuine unconscious and the dismissal of rational control that makes Newman´s works so lively and filled with deeper beauty. Visualization uses exhibition information in artist-info.com database of this specific artist: It shows how all artists are connected through exhibitions, and how the venues are connected through artists. It is a new overview and insight into the world of contemporary art which no table or list could provide. More details can be found on our help page. Click on buttons to open visualization in a pop-up window.